Unfortunately, car accidents occur very often in this country. Just in 2009 and in Passaic County, New Jersey, alone, there were almost 19,000 reported car accidents, as reported by the New Jersey Department of Transportation. 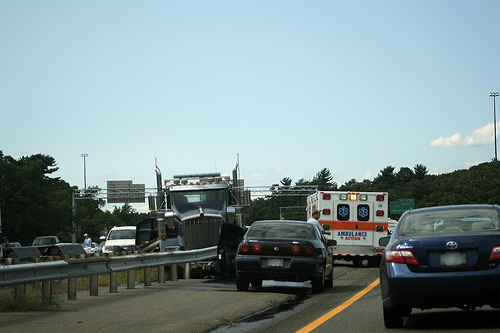 Many people often ask, “If I am involved in an automobile collision, what are my rights? ” While each case is unique and must be evaluated separetly by a qualified attorney, we would like to give you a bit of information that is relevant to most people involved in a car crash. Related Articles: How do I know if I need a lawyer for a car accident, drunk driving and car accidents, I was hit in the rear – is the other driver always at fault, medical bills after an accident, first steps in setting up your injury claim, things to do after an accident. The short answer to those curious if they are entitled to money for auto accident injuries is, “maybe.” Admittedly, that is not a very informative answer, but we frequently need to remind our clients that just because they are hurt – even seriously injured – in a car accident, does not mean that you will automatically receive money for your injuries. There are a lot of legal, medical, and practical issues that go into answering this question. The first thing to note is that a person is only liable for your injuries if they are negligent. In other words, the other driver had to have done something that they shouldn’t have done (or not done something that they should have done), which caused the accident. This is what it is to be negligent or liable for the accident – just because an accident happened does not mean that the other driver was negligent. As a plaintiff, you would need to be able to show a jury enough evidence to prove that the defendant was likely at fault. The second thing to note is that most people, when purchasing car insurance, select the Limitation on Lawsuit Option, also known as the Tort Threshold . In short, this generally means that you and everyone in your family is barred from suing for pain and suffering, unless you have one of the serious injuries listed in the No Fault Law. Since most accidents are minor, with few injuries (like sprains and strains), many people who are hurt are barred from collecting money for their pain and suffering. The insurance laws make car accident cases unique, since your case will get thrown out of court – by law – unless you have sufficient objective medical tests and evidence to show that you are seriously injured. So even when everyone agrees that a person was hurt in a car crash, the insurance companies often deny claims when there are only soft tissue injuries to the neck and back, which are the most common types of injuries. There are certain issues of practicality that can seriously effect the value of your case. For example, most drivers in New Jersey – especially in Passaic County and Essex County – do not have very much car insurance. So even if you are badly hurt and the other driver is clearly at fault, you still may not get full value for your case due to limited insurance (usually the other driver is in no position to write you a check for thousands of dollars). That is why it’s important for you to purchase as much Underinsured Motorist coverage as you can afford. Regardless, we work to find all available insurance policies and help our clients with their cases from start to finish. We use our decades of experience to gather as much evidence as is practicable in order to prove our case to the jury so that the injured people who we represent can receive proper compensation for their injuries. If you have been injured in a car crash would like to know whether you have a case for automobile negligence, what kind of value your case may have, and what you can expect, you should contact us for a FREE CONSULTATION with one of our attorneys. We have been protecting the rights of people injured in car accidents since 1922, and we are very experienced with automobile collision cases, especially in Passaic County, Bergen County, Essex County, Union County, and Hudson County, where our attorneys regularly appear in court and regularly interact with the lawyers for the insurance companies.